Pro Tools | ADPTR Metric AB Playback Modes - Control Which Part Of Your Reference Track You Hear When You Hit Play. Free Tutorial. ADPTR Metric AB Playback Modes - Control Which Part Of Your Reference Track You Hear When You Hit Play. Free Tutorial. Metric AB is an incredibly useful referencing plug-in. It offers comprehensive visualisation and metering but one of the most important things is to be able to control which part of your reference track you are comparing your mix with. Luckily Metric AB offers all the controls you need but they do bear some explanation. 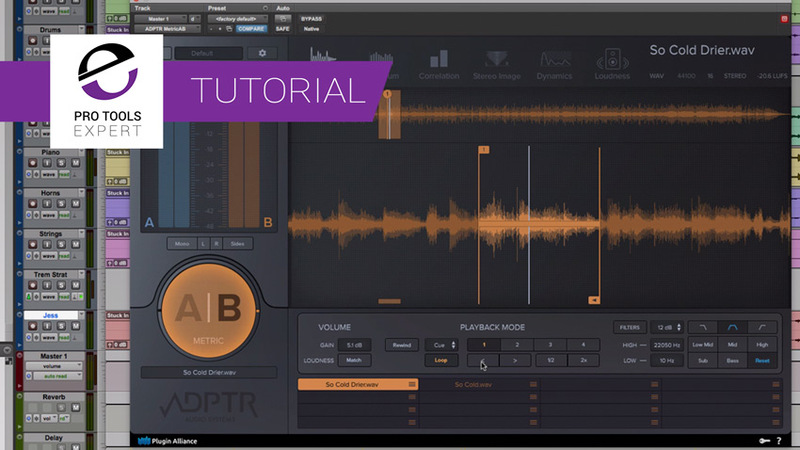 In this free video tutorial, brought to you with the support of Plugin Alliance, Pro Tools Expert team member Julian Rodgers demonstrates each of the four playback modes including setting up and manipulating loops.